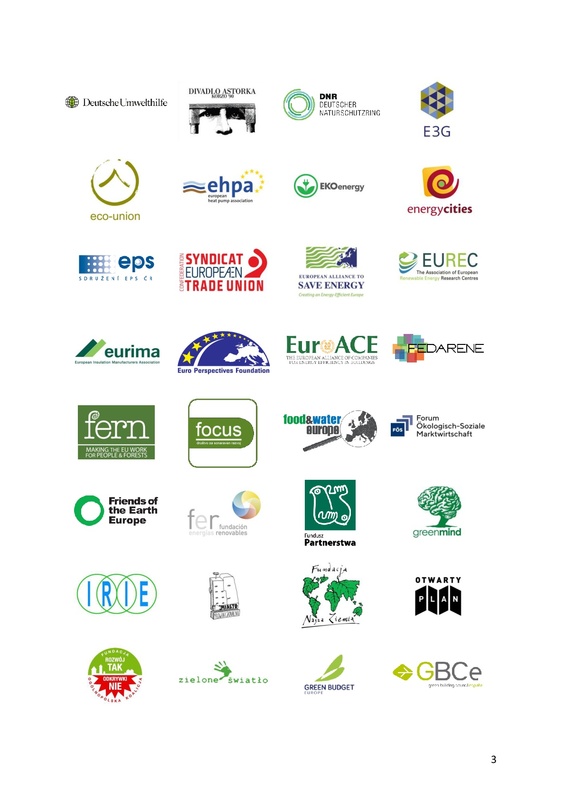 The co-signatories of this letter represent a broad group of one hundred and one businesses, civil society organisations, local authorities, think tanks and other organisations who are working together to support the EU’s commitment to achieve the UN Sustainable Development Goals and the Paris Climate Agreement objectives. We are writing to urge you to ensure that the next MFF is aligned with Europe’s climate and energy objectives, and is consistent with and contributes to the Paris Climate Agreement and Sustainable Development Goals across all programmes. Provide support for a just transition to a low carbon economy, in particular to support communities and workers in high-carbon regions highly depending on fossil fuels. We look forward to engaging with you on this very important matter. In the current proposal, binding targets on climate action are only to be found in ERDF, a share of the Rural Development Fund and part of InvestEU. Such as Partnership Agreements, long term renovation strategies, Connecting Europe Facility plans, InvestEU proposals and the CAP.